Photographs of what is regarded to be one of the greatest hoaxes of the 20th century are expected to fetch up to £70,000 when they go under the hammer on Thursday. 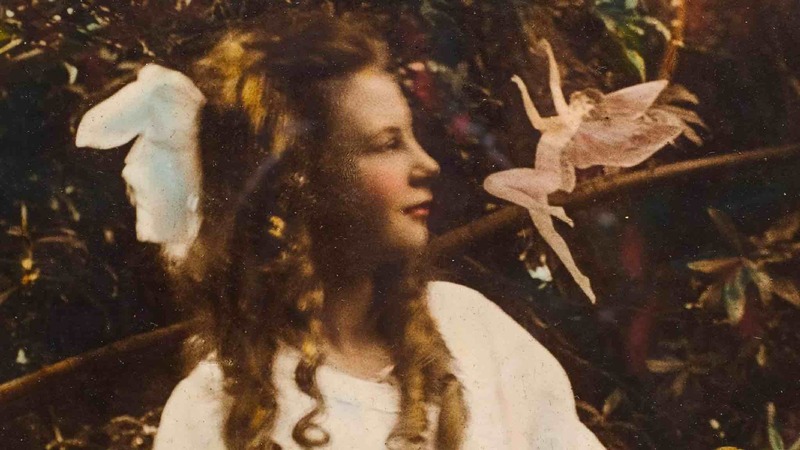 Pictures of the Cottingley Fairies were taken in July and September 1917 by a 16-year-old girl called Elsie Wright – along with her nine-year-old cousin Frances Griffiths – in the village of Cottingley near Bingley in West Yorkshire. A camera and a set of period photos, including some owned by the daughter of Frances, are going on sale at Dominic Winter Auctioneers in Gloucestershire. In the summer of 1917, the two girls set out to prove the existence of fairies – unaware that their practical joke would go on to spark controversy and fool eminent figures such as Sir Arthur Conan Doyle. Using Elsie’s father’s Midg quarter-plate camera, and with the use of coloured paper cut-outs and hat pins, they staged their scenes near the stream at the end of Elsie’s garden.